M12 BDD 12 Volt Drill Driver is a high performance sub compact drill driver that measures only 187mm in length making it ideal for working within confined spaces. The optimised handle provides better control and improved grip. M12 BID 12 Volt Compact Impact Driver is a high performance sub compact impact driver, that measures 165mm in length making it ideal for working within confined spaces. Has a heavy-duty full metal gearbox and gears for superior durability and maximum torque. C12 HZ 12 Volt compact cordless Hackzall®, measuring 280mm, making it ideal for working within confined spaces. With patented FIXTEC clamp for fast and easy keyless blade change, and a built-in LED light for work surface illumination. REDLINK™ overload protection electronics feature in both tool and battery pack for excellent durability. C12 T Lamp 12 Volt Torch has a 90° rotating head to aim the light at the work space. Its aluminium head is impact and weather resistant for excellent durability, and a magnetic back allows hands-free use. 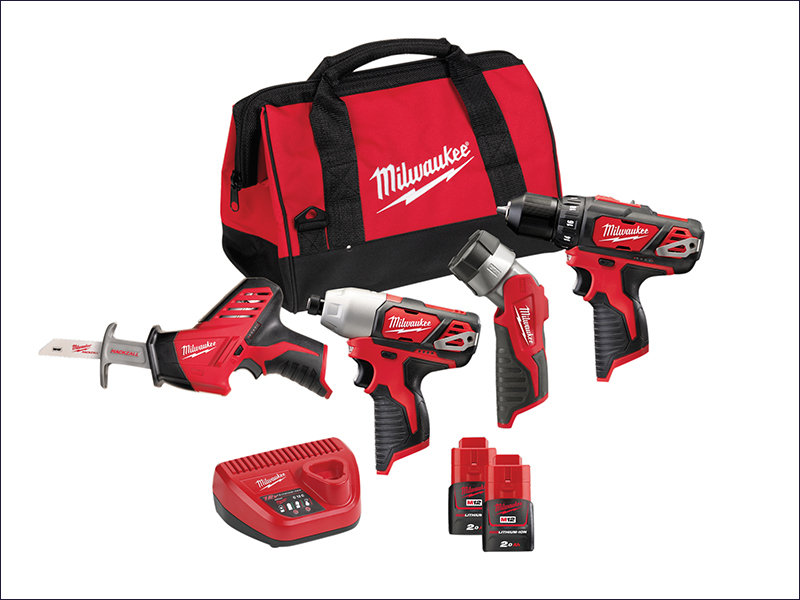 The tools are supplied in a tool bag with 2 x 2.0Ah REDLITHIUM-ION™ Batteries and a M12-18C Charger.